Musgraves, who also won Country Album of the Year, has emerged as an LGBTQ ally in the country music world. She has spoken up for more LGBTQ inclusion in country music and her song “Follow Your Arrow” was hailed as a pro-LGBTQ anthem. 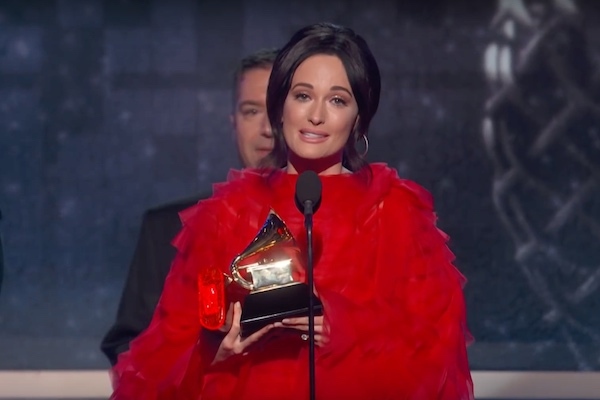 Musgraves also served as judge on “RuPaul’s Drag Race” Musgraves also took home Best Country Solo Performance (“Butterflies”), and Best Country Song (“Space Cowboy”) Awards for a total of four winning categories. Janelle Monáe performed her bisexual anthem “Make Me Feel” off her album “Dirty Computer,” mixed in with her feminist song “Pynk.” She didn’t win for either category she was nominated for (Album of the Year and Best Music Video) but she did dedicate her nominations to her “trans brothers and sisters.” In an interview with Variety, the singer was asked about coming out as queer last year. Jennifer Lopez also gave dance-filled tribute to Motown while Diana Ross honored her own birthday, which is in March, with a performance. Michelle Obama, Lady Gaga, Jada Pinkett-Smith and Jennifer Lopez also made appearances at the top of the show to help host Alicia Keys reflect on the importance of music.